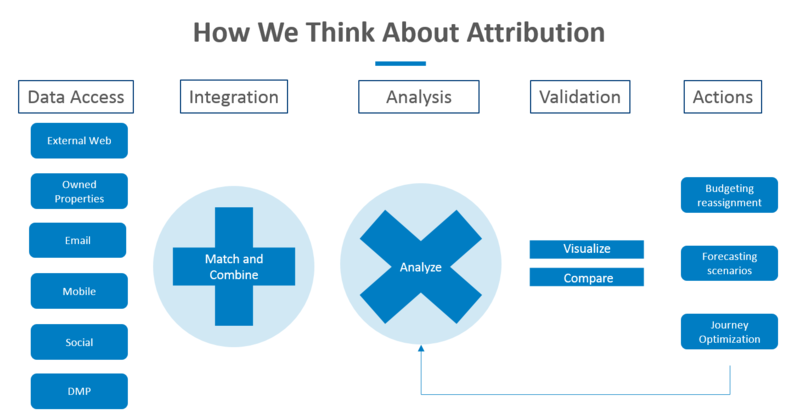 Everyone has a marketing attribution problem, and all attribution measurement methods are wrong. We hear that all the time. Like many urban myths, it is founded in truth. Most organizations believe they can do better on attribution. They all understand that there are gaps, for example, missing touchpoint data, multiple identities across devices, arbitrary decisions on weightings for rules, and uncertainty about what actions arise from the results. Broadly speaking, the holy grail of media measurement is to analyze the impact and business value of all company-generated marketing interactions across the complex customer journey. 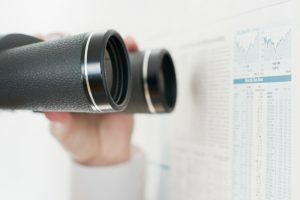 In this post, our goal is to take a transparent approach in discussing how SAS is building data-driven marketing technology to help customers progress beyond typical attribution methods to make the business case for customer journey optimization. The diagram above shows the main parts of an attribution project. The actual analysis is just part of the process, with upstream and downstream dependencies. But this doesn’t always happen as it should. Consider a standard attribution report. Let us for the moment ignore what technique was used to generate the result and place ourselves in the shoes of the marketer trying to figure out what to do next. In the graph above, we see the results of an attribution analysis based on a variety of measurement methods. 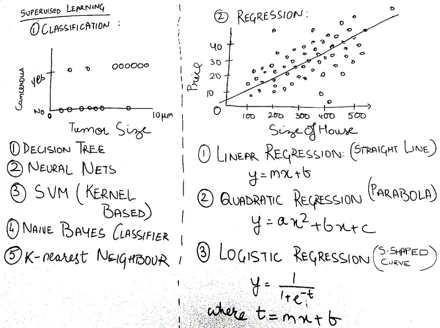 Before answering the question of which method should we focus on, let's do a quick review of rules-based and algorithmic measurement techniques. This type of attribution allocates 100 percent of the credit to either the last or first touch of the customer journey. This approach has genuine weaknesses, and ignores all other interactions with your brand across a multi-touch journey. 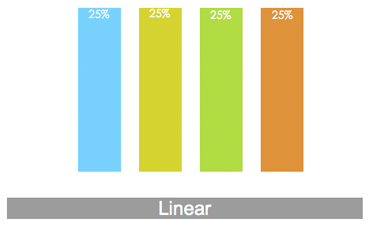 Linear attribution arbitrarily allocates an equal credit weight to every interaction along the customer journey. Although slightly better than the last- and first-touch approaches, linear attribution will undercredit and overcredit specific interactions. Time-decay attribution arbitrarily biases the channel weighting based on the recency of the channel touches across the customer journey. If you support the concept of recency within RFM analysis, there is some merit to approach. Position-based attribution places more weight on the first and last touches, while providing less value to the interactions in between. In contrast, algorithmic attribution (sometimes referred to as custom models) assigns data-driven conversion credit across all touch points preceding the conversion, and uses math typically associated with predictive analytics or machine learning to identify where credit is due. It analyzes both converting and non-converting consumer paths across all channels. Most importantly, it uses data to uncover the correlations and success factors within marketing efforts. Here is a video summarizing a customer case study example to help demystify what we mean. Why doesn’t everyone use algorithmic attribution? Much-needed modernization. The volume of data that you can collect is massive and may overwhelm outdated data management and analytical platforms. Especially when you’ll need to integrate multiple data sources. Organizations have a decision to make regarding modernization. Scarcity of expertise. Some believe the talent required to unlock the marketing value in data is scarce. However, there are more than 150 universities offering business analytic and data science programs. Talent is flooding into industry. The synergy between analysts and strategically minded marketers is the key to unlock this door. Effective use of data. Organizations are rethinking how they collect, analyze and act on important data sources. Are you using all your crucial marketing data? How do you merge website and mobile app visitor data with email and display campaign data? If you accomplish all of this, how do you take prescriptive action between data, analytics and your media delivery end points? Getting business buy-in. Algorithmic attribution is often perceived as a black box, which vested interest groups can use as a reason to maintain the status quo. The elasticities of a single touch point. The interdependencies between different touch points. Cause and effect and timing dependencies. Differences between different groups of customers. In Part 2 of this blog posting series, we will dive into specific detail within these areas, as well as introduce our vision within SAS Customer Intelligence 360 on handling algorithmic marketing attribution and conversion journey analysis. Editor's note: This blog post was authored by Malcolm Lightbody (SAS Customer Intelligence Product Management) and Suneel Grover (SAS Principal Solutions Architect). The link to the video "Here is a video summarizing a customer case study example to help demystify what we mean." doesn't seem to work, at least not for me.